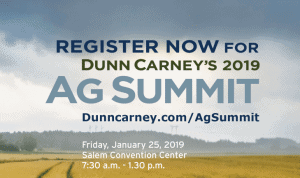 International trade and transportation issues in agriculture will be among the topics discussed by keynote presenter Curtis Robinhold, Port of Portland’s new executive director, at Dunn Carney’s 11th Annual Ag Summit on January 25, 2019. 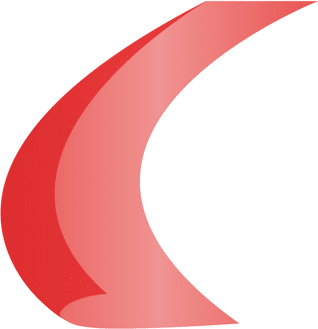 The free, half-day conference will be held at the Salem Convention Center from 7:30 a.m. – 1:30 p.m. Complimentary continental breakfast and lunch are included. Registration is open . Alexis Taylor, Director of the Oregon Department of Agriculture, will deliver opening remarks and provide a department overview for the year. Each year, Ag Summit speakers include industry leaders from around the region, as well as members of the Dunn Carney Ag Team, who provide farmers, ranchers, and food processors with annual updates and tips on regulatory developments, legal issues, and best practices in the agriculture industry. Fifteen of Oregon’s major agricultural groups are participating organizations in the Ag Summit: Aglink, Oregon Business & Industry, Oregon Association of Nurseries, Oregon Cattlemen’s Association, Oregon Dairy Farmers Association, Oregon Farm Bureau Federation, Oregon Seed Council, Oregon State University College of Agricultural Sciences, Oregon State University Extension Service, Oregon Water Resources Congress, Oregon Wheat Growers League, Oregon Women for Agriculture, Oregonians for Food and Shelter, Food Northwest, and Oregon Winegrowers Association.